There is no denying that I'm a curvy girl and truth be told, sometimes I'm more "curvier" that usual you know, when I've fallen off of the fitness horse or when I go on a weekend eating spree, (please tell me I'm not the only one and if I am I'm about to curl under a rock). When I'm not feeling my best, I tend to stay away from tighter garments and try to wear clothes that help conceal the lbs, however *sound of brakes* I recently found a happy medium and savior- Jewel Toned Shapewear! What makes Jewel Toned Shapewear unique is that on top of smoothing curves, they come in fun colors and in versatile shapes that blur the lines between underwear and outerwear. Basically you wear it whichever way makes you feel good since the shapewear aspect is already taken care of! 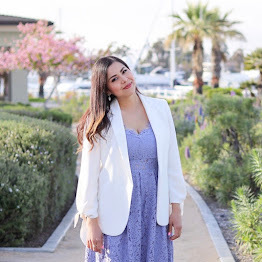 I recently received this high waisted skirt in Royal Blue and wore it as a skirt on it's own by incorporating it into a girls night out outfit.... Scroll all the way down to see how you can win one to try! And now for the giveaway... 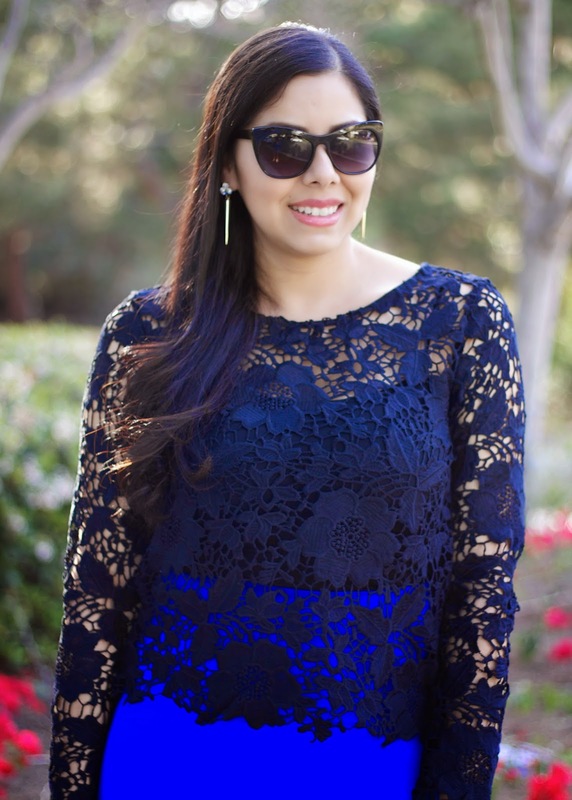 Jewel Toned Shapewear was kind enough to offer one of these skirts to one of you! Enter for a chance to win a skirt in your size in the Rafflecopter below! The more ways you enter, the higher the chances! Good Luck! This Giveaway will run until 11:59pm PST Tuesday March 31, 2015 and is open to participants Nationwide (U.S. only). The winner will be chosen at random using Rafflecopter's random.org, verified, and contacted via email! It will be announced and displayed in the Rafflecopter widget by the Monday thereafter. 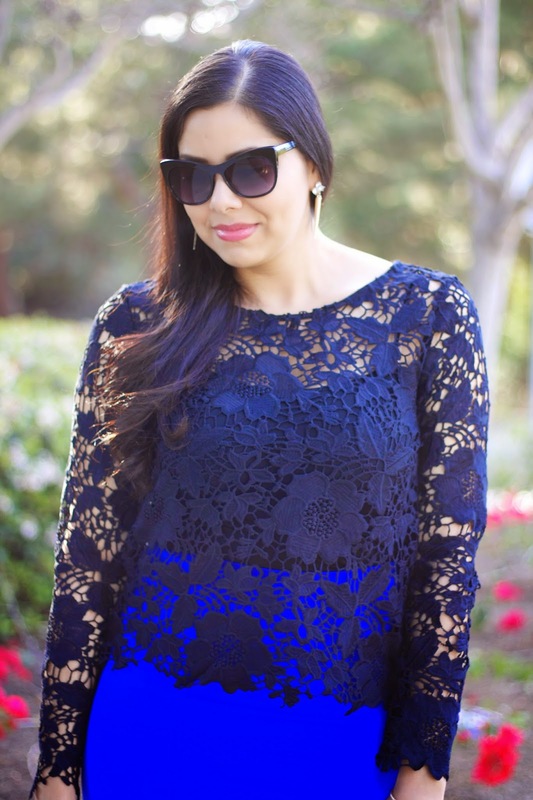 I love the pretty lace top, it's a perfect layering piece for Spring.